Since the birth of Ballet in Russia and the creation of the Russian Ballet, there have been many ballet companies emerging to the top and getting worldwide appreciation. Moreover, along with these companies Russia produced some of the finest and most celebrated ballet dancers who not just astonished and overwhelmed their audience but also gave birth to new forms of moves and roles. These Russian ballet dancers have not just astonished Russia with their arts and crafts but also reached the International boundaries and collect appreciation in the entire world of dancing. 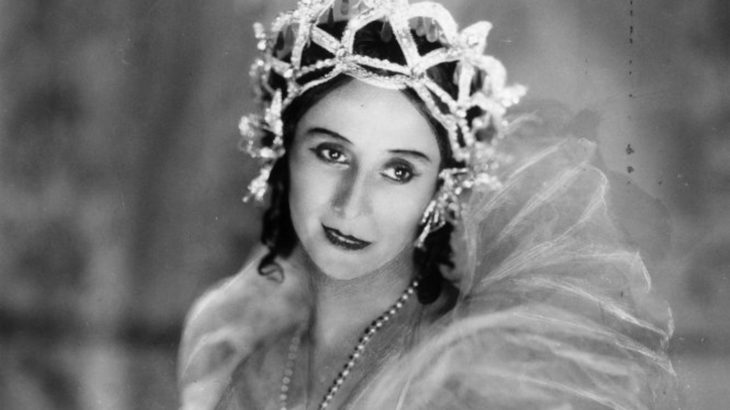 One of the most celebrated ballerinas of her time was Anna Pavlova. Anna was a Russian resident, born on February 12, 1881 and was considered to be the most acclaimed ballerina because of her exquisite form of ballet dancing which overwhelmed her audience. She had performed as the primary artist at the Ballets Russes and the Imperial Russian Ballet. Having said that, Anna Pavlova is one of those ballet dancers who took and adopted ballet not just as a form of dancing but an art and a way of life. She got so involved in Ballet that she gave birth to new moves and even astonishing roles such the Dying Swan. Anna’s creativity and beautiful ballet is still admired and remembered. Comes in the “Lord of the Dance”! Rudolf Nureyev was a Soviet ballet dancer who was considered to be the best and that is why he was considered to be the Lord of the Dance being the most remarkable male ballet dancers of all time! He was born in 17th March, 1938 near Irkutsk. Rudolf started his career in the Ballet at the age of 20 and had his early career along with the Mariinsky Ballet Company which later resulted in Rudolf being a gifted artist and an acclaimed choreographer. Later, in his career Rudolf left the Soviet Union during the cold war and started working with The Royal Ballet in London. He then lived in the west for the rest of his career. Another famous name in the Russian ballet scene that is commendable to great extents is Natalia Bessmertnova who was titled as the People’s Artist of the USSR. She was one of a kind and was widely appreciated for her skills and crafts at the ballet. She was born in Moscow in the year 1941 and she started her career by joining the Moscow State Academy of Choreography where she trained and grew to be a fine Ballerina. Throughout her career she played many roles which are still remembered and served as examples and along with that she was an artist who won quite a few National and International Awards and Prizes. The awards that she received during her career include, USSR State Prize, The Anna Pavlova Prize, Gold Medal at Vama International Ballet Competition in 1965, etc. Mikhail Baryshnikov, is a Soviet and American Ballet dancer but he is not just a Ballet dancer but also a choreographer and an actor. He was born in 1948 at Riga, Latvia and started his career with ballet in 1968 i.e. at the age of 20 and is still active as a choreographer and an actor. Mikhail is considered to be amongst the great ballet dancers of all time. He started his career in Russia with the Mariinsky Ballet Company, after which he left USSR and went to Canada in the year 1974. After some struggle he joined the New York City Ballet and then he led his career to become an artistic director. Currently he is known as the most widespread known contemporary ballet dancer of all time which he owes to his feet in different career lines such as acting and choreography. Mikhail has received a number of titles and awards as appreciation not just as a ballet dancer but also as an actor. Some of the awards that he has received in his career are, Award from Dance Magazine, National Arts Award, Kennedy Center Honor, and Gold Medal in the Moscow International Ballet Competition and in the Vama International Ballet Competition. With all this acclamation, Mikhail continues to entertain his fans with his skills at ballet and acting. culture ballet moscow, best ballerina in the world, famous russian ballet dancers, male russian ballet dancers, most famous ballerina. permalink. I was looking Mikhail Baryshnikov in Belgrade, it is simply a magic. I strongly believe this post could inspire people to learn more about ballet, acting and other performing arts. Privet, Tamara. Thanks for your comment.